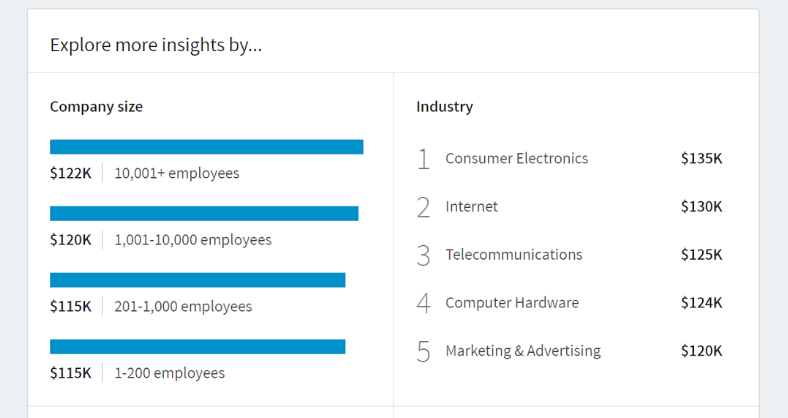 Company salaries: Dive into company level insight pages to explore how salaries vary at different corporations. Factors that may impact salary: Learn how certain aspects such as company size, industry, education level, and field of study can impact your salary for a given title in a region. Open jobs: We’ll also show you current open jobs for your role and location that have been posted on LinkedIn. You can also look into freelance opportunities.